ArmInfo. In the total loan portfolio of Armenian banks, the share of the dram component increases along with the dollar decline. The share of prolonged and overdue loans in 2018 made up respectively 2.86% and 1% (against 3.72% and 1.19% in 2017). 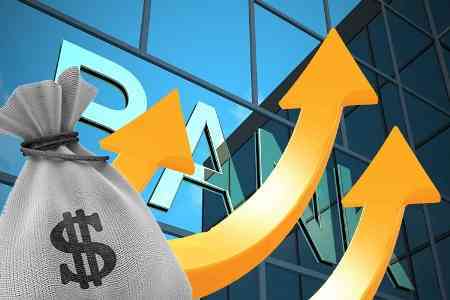 In y-o-y terms, the volume of overdue loans in Armenian banks decreased by 3.4%, and for the quarter - by 22.2%, making 30.7 billion drams. The volume of extended loans for the reporting year decreased by 11.7% while over the quarter it grew by 9.3% reaching 88 billion drams. Moreover, short- term loans dominate in prolonged loans, while overdue loans dominate in long -term loans. According to statistical data, the average interest rate on dram loans in December 2018 was at the level of 11.58%, against 13.26% a year earlier and 12.43% a quarter earlier. (Estimated dram rate on December 31, 2018 amounted to 483.75 AMD / $ 1).